19-year-old Nikolas Cruz charged with gunning down students at his former high school, killing 17. 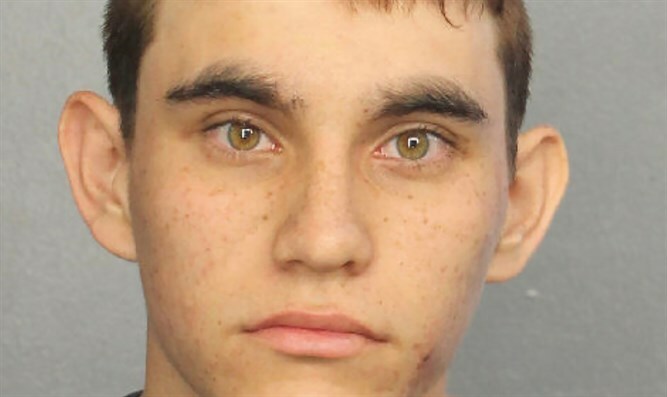 Authorities charged the gunman arrested following Wednesday’s deadly school shooting with 17 counts of premeditated murder on Thursday. Nikolas Cruz, a 19-year-old former student at Marjory Stoneman Douglas High School in Parkland Florida, was expelled last year for “disciplinary reasons”. According to math teacher Jim Gard, Cruz had been expelled after he had threatened fellow students. On Wednesday, Cruz returned to campus armed with a semi-automatic rifle, numerous ammunition magazines, and smoke grenades. In the melee that ensued, Cruz shot and killed 17 people, and wounded another 14. Cruz later escaped the scene of the shooting, blending in with students fleeing the massacre. Police managed to track Cruz down, however, and arrest him in the neighboring town of Coral Springs. Broward County Sheriff Scott Israel said the alleged shooter was taken into custody "without incident". State and federal authorities interrogated Cruz Wednesday evening, after he had been treated for labored breathing, AP reported. On Thursday, Cruz was formally charged with 17 counts of first degree murder, and ordered to be held in custody without bail until the end of his trial. President Trump tweeted Thursday that mental illness was likely involved in Cruz’s decision to attack his former school. An orphan, Cruz and his brother Zachary had been adopted by a New York couple when they moved to Florida’s Broward County. Cruz’s adopted father died from a heart attack several years ago, and last November, his adopted mother passed away from pneumonia.